The country superstar, 40, wore a baseball cap and plaid shirt as he strummed a guitar and sang the classic &apos;A Holly Jolly Christmas&apos; along with accompaniment from an accordion and xylophone for assembled friends and family at the festive celebration. 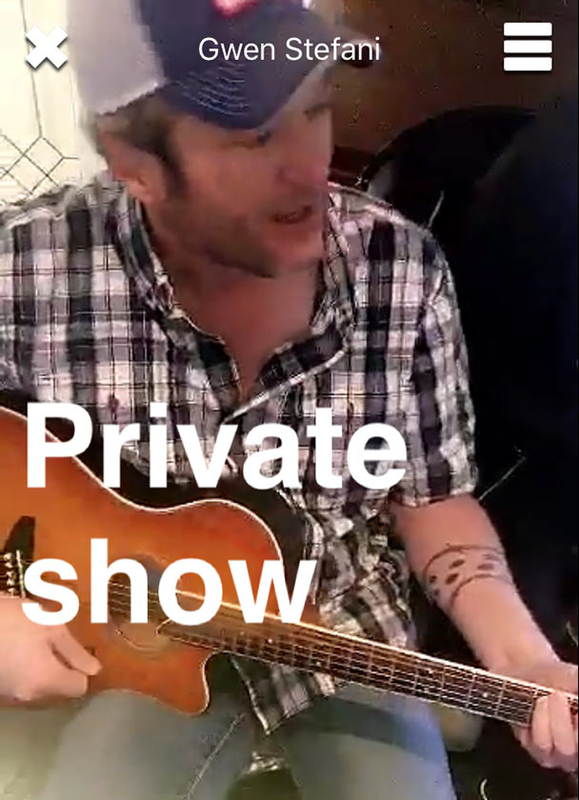 Stefani, 47, captioned a video of his performance "Private show" as she shared it on Snapchat on Saturday, December 24. Stefani&apos;s three sons with ex-husband Gavin Rossdale appeared to take a style cue from their mom&apos;s main man — Kingston, 10, Zuma, 8, and Apollo, 2, were also dressed in plaid shirts, while the No Doubt singer wore a chunky-knit gray sweater. In other Snapchat videos Stefani showed off her dog Ginger&apos;s new haircut and a cute drawing of the "Came Here to Forget" singer done by her niece Stella. The couple, who began dating a year ago after meeting when they were both judges on The Voice, also spent Thanksgiving together with their families in Shelton&apos;s native Oklahoma. As Us Weekly previously reported, Stefani and Shelton are heading to the altar and are "starting to finalize" wedding arrangements, according to a source close to the couple. The "Make Me Like You" singer, who is set to rejoin Shelton on The Voice next season, said in an interview with Glamour magazine that she&apos;s in a "new place" thanks to the country crooner. "He was a friend when I needed a friend," Stefani said of his support after her divorce from Rossdale, her husband of 13 years in 2015. "An unexpected gift."